On May 5th my wife and I did the 2012 Whiskey Row Marathon 10k. It was very challenging and a lot of fun. 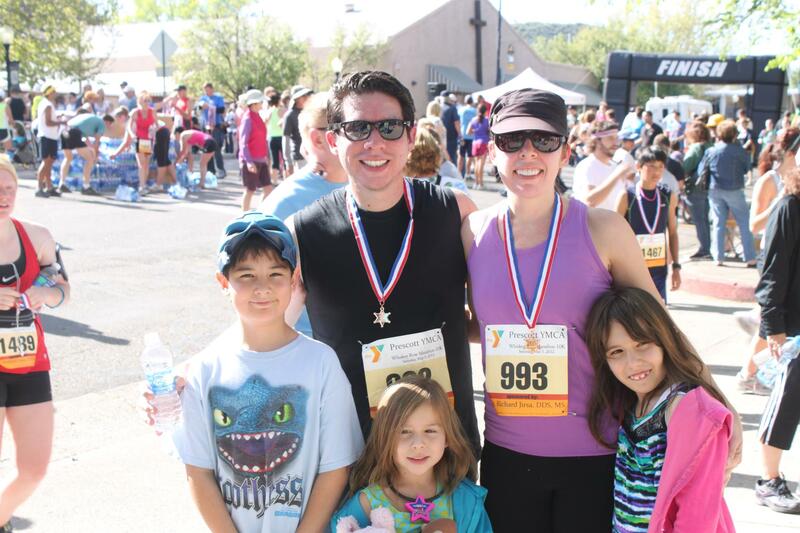 The Proceeds from this race go directly into the scholarship fund at the Prescott YMCA to assist children and families in financial need to participate in child care, swimming lessons, youth sports and gymnastics classes. Prescott is my home town and most of my family still lives up there so it was great to do the run and spend time with the family. This was my wife’s first race and she did amazing. After the race we spent some quality time at PBC enjoying some great beer. My dad also hooked me up with a pretty cool solar lite bottle opener from a local Prescott company called Solarfunstuff. Our next run will be the 2012 Hospice Run For Life in Flagstaff, AZ on June 23. At 7,000 feet (2,130 m) elevation it should prove to be another challenging and exciting run.